Another important business tool provided by Boost My Shop is the RMA extension. 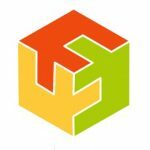 The best solutions of this kind are gathered here: Magento 2 RMA Extensions & Magento RMA Modules. As for Boost My Shop, the company’s tool is explored below. 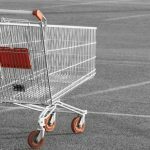 The core aim of this extension is to integrate a return merchandise authorisation system into a Magento 2 website providing customers with the ability to return previously purchased goods. Note that the Boost My Shop Magento 2 extension is convenient for both B2B and B2C segments. It is also necessary to mention that RMA requests can be created from backend or frontend. Now, let’s figure out core RMA request statuses and than proceed to the backend tutorial. If a status is “Draft”, the RMA is yet visible for customer. “Requested” means that a customer has sent a return request that needs admin approval. 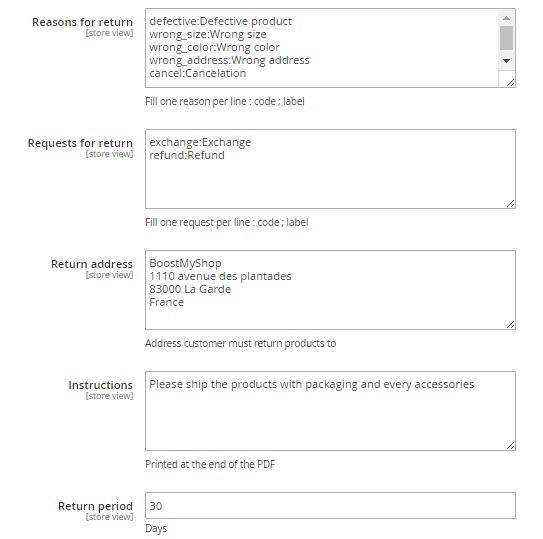 The “Accepted” status shows that the return is accepted, so a customer must print a return form. “Processing” – products are received and you are preparing to process them. “Complete” the RMA with all refunds is processed. 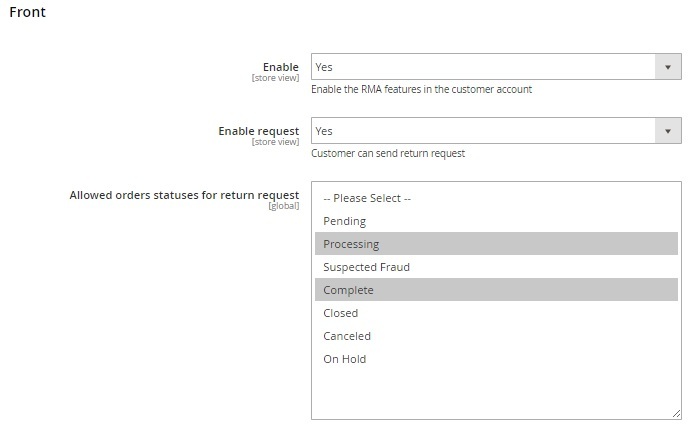 To create a new RMA request from the Backend, hit the “Create RMA from order” button. Next, you should select an order to create a new request. Your RMA is now created. While editing the request, you have to deal with 4 tabs of settings: General, Items, Messages, and History. The first tab allows you to edit reference and customer name, view customer account, edit customer email, view associated order, choose a new status, select a manager responsible for resolution, and add a shipping address as well as customer, private, comments, and public comments. The Items tab contains a grid that displays product images, SKUs and names. 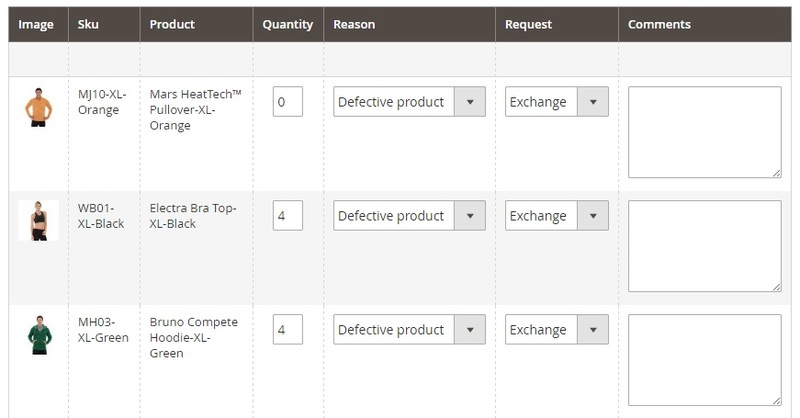 You can adjust quantity, select an RMA reason (defective product, wrong size, wrong color, wrong address, cancellation), choose a request form (exchange or refund), and place comments. Under the Messages tab, you can post a new message. The History tab shows all actions related to the RMA. For instance, time and date when the RMA was created or when a status was changed. All Boost My Shop RMA setting are available within 4 sections: General, Customer Email Notification, Admin Notification For New Request, and Fron. 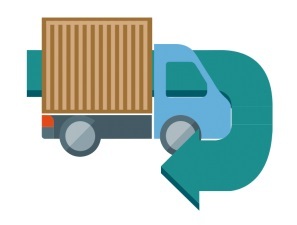 The General section allows you to add custom reasons and requests for return, specify a return address, provide a customer with return instructions, and set a return period. In Customer Email Notification, you select an email sender and enable/disable notifications on RMA status change. Besides, it is possible to choose templates for each status change notification. 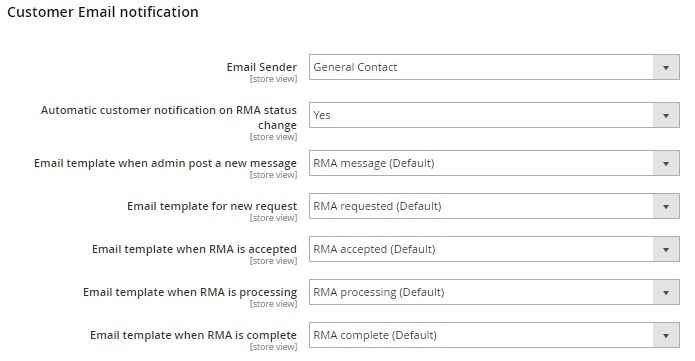 As for Admin Notification For New Request, this section allows you to choose an email sender, an admin email address, and choose templates for new RMAs and messages. The Front section provides the ability to enable/disable the extension and requests on the frontend as well as choose RMA statuses that will be shown to customers. From the customer perspective, a request for a return can be created in a customer account under “My Returns”. All current returns are available there as well. First of all, it is necessary to select an order. And specify quantity, reason, and the for of the request (exchange or refund). Next, the RMA module provides the ability to add comments as well as additional comments. The Boost My Shop RMA Magento 2 extension is easy to use since it provides the minimum amount of section in the backend. All necessary settings are available in the configuration section, while all RMA requests are listed in one grid. And you can seamlessly create more RMAs from the admin side of your Magento 2 store. 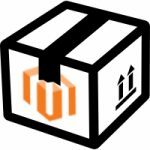 The same is about the frontend experience – Boost My Shop RMA for Magento 2 adds a fully-featured but easy to master interface. It is also necessary to mention that the extension costs just €99, so don’t hesitate to give it a go.